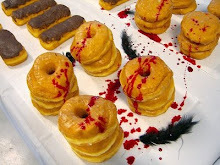 DOPPELGANGRENE: Just in time for Halloween, MALFORMED CONFETTI has found its way into the Blood Pudding! Just in time for Halloween, MALFORMED CONFETTI has found its way into the Blood Pudding! Just in time for Halloween 2018 and the rest of the 2018 holiday season and beyond, my Malformed Confetti has been added to my Blood Pudding Press! Malformed Confetti is my second individual full-length poetry book, which has arrived in October 2018! 100+ pages. Poems ranging from 2008-2015. Cover art created by Simona Candini. Strange and creative book blurbs written by Susan Yount, Kelly Boyker, Tracie Morell, Charles Cicirella, and Lisa M. Cole. Thank you very much to Crisis Chronicles Press! At Blood Pudding Press, the same price is being charged, but you're receiving your copy directly from the author, who will hand sign the book for you. 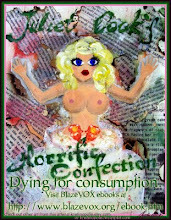 Cook's first full-length individual poetry book, “Horrific Confection”, was published by BlazeVOX in late 2008, ten years ago now. 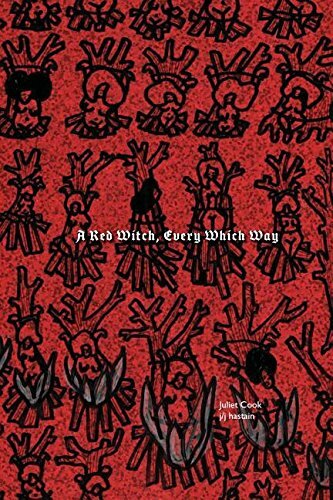 Her more recent full-length poetry book, "A Red Witch, Every Which Way", is a collaboration with j/j hastain published by Hysterical Books in 2016. 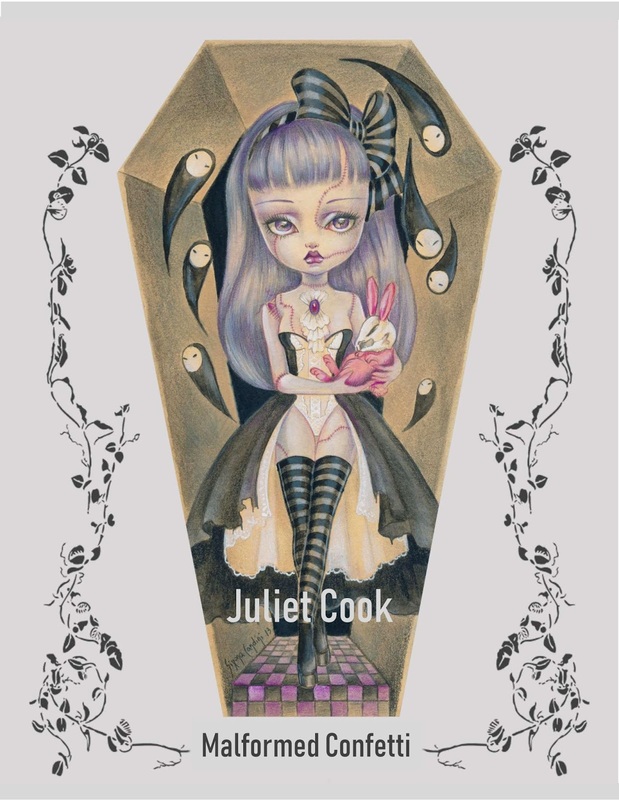 Her MOST recent individual full-length poetry book is this one, "Malformed Confetti". The poems within "Malformed Confetti" range from 2008 to 2015. In early 2010, Cook suffered from an unexpected Carotid Artery Dissection, which lead to an Aneurysm which lead to a Stroke. Later in 2010, while on the brink of divorce and temporarily living with her parents, Cook began to assemble and submit an earlier version of this manuscript. As time went on, she revised it, added more recent poems, and rearranged it, forming it into a dissected but interconnected discombobulation of pre-stroke and post-stroke work.